Node.js is easy to use, lightning fast and smashes its competition in several areas. That’s because, by comparison, this technology is more efficient and highly scalable. As a result, web developers love using it, and many of the world’s top companies are switching to it. With its rising popularity, new job opportunities are emerging for developers across the market. This promises new and innovative projects from start-ups to high-profile companies. Already, the likes of Walmart, eBay and LinkedIn have adopted Node.js, and usage rates are on a steady path upwards. Node.js is event-driven. It can handle large volumes of client requests in one, single thread. Unlike other web technologies that create new threads for each new client request, Node.js creates a unique thread (or loop) that is optimized for real-time web applications. It’s therefore useful in building applications that are fast, and highly scalable. The widespread adoption of this language by some of the world’s most successful companies has significantly improved the performance of their web and mobile applications. Netflix, PayPal, Groupon and Uber have all have real-time applications rely on the performance capabilities of Node.js to deliver powerful results. For example, the switch from Ruby on Rails to Node.js by LinkedIn has resulted in a far more capable and user-friendly mobile app that handles twice the traffic at a much greater speed, and on almost 90% fewer servers. 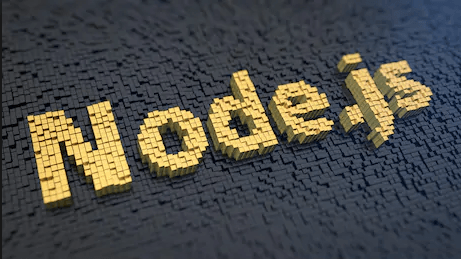 Node.js is steadily becoming the preferred technology for many companies because of its performance capability and efficiency. Gone are the days when learning one technology over another meant being stuck in one particular job. The companies already mentioned are evidence that just about every industry is using Node.js technology to build high-performing web applications. As more companies adopt the technology, it’s likely that having experience with Node.js will only increase a developer’s value on the job market. Not only does this make learning Node.js a popular choice for web developers looking to gain access to high-profile companies, but also for those who can offer valuable experience to start-ups. With its widespread adoption amongst various companies (and all with their own, unique projects) Node.js promises web developers exciting work opportunities for years to come. Add to that a technology that’s easy to learn and unmatched in its performance capabilities, and it’s clear to see why Node.js is such a popular choice amongst developers and companies alike. Find Node.js Engineers, or a Job in Node.js Engineering with Elevano! Contact us to find out more about how we can we can bring top talent in Node.js development to your company. Does this sound like the job for you? If you’re a Node.js Engineer, submit your resume to Elevano today!